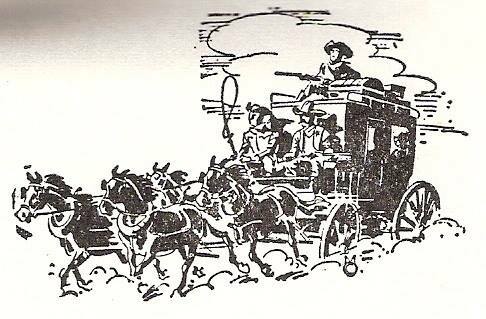 From last post, I continue Wade Nanney’s story about Ole Man Adair coming home from California in the 1850’s. He travelled from San Francisco around the tip of South America to make port in Charleston. And he wore an overcoat the entire time. “Did the other passengers figure out why, or just ascribe him as being some sort of nut? ‘I still say he’s addled in the head, or else he’s hiding something under that mountain of an overcoat! He’ll die o’ the heat if he keeps that thing on much longer!’ the more querulous of the two might have exclaimed. ‘Ssh! He’s coming this way. Let’s see if we can get anything out of him. Afternoon, Mr. Adair, I believe it is?’ The querulous one greeted him, pronouncing the name uh-DAYer. The old man’s fellow voyagers would certainly have watched him sweat profusely until they attained cooler waters. However, if they happened to endure some Antarctic squalls coming around thte Horn and up by the Falkland Islands, then many of the shivering passengers would have vocally coveted that overcoat. But as they again approached the Equator, and proceeded on to Charleston, the incredulity would have resumed. Disembarking at Charleston, Ole Man Adair proceeded northward toward his beloved little mountains by stagecoach. From all I can ascertain, the main road then still came up through Montford’s Cove and Sugar Hill. He may have alighted at Sugar Hill and returned to Bracketttown by way of Vein Mountain. However, it was probably more logical to come on up to Providence, where the east-west stage route from Morganton to Asheville crossed. There he would have continued down Goose Creek to the big oak tree in Glenwood where the road from Macedonia intersected. Whatever his route, this intrepid adventurer finally ended his tremendous roundabout journey, arriving at his homestead underneath Conway’s Knob. If any of his family members were present, they would assuredly have looked on with eye-bulging amazement as Ole Man Adair finally removed himself from the torturous, sweat-drenched overcoat. This entry was posted in Brackett Town Saga, Characters, Dialogue, Guest, Nanney Saga, Setting and tagged Brackett Town, Garden Spot of the World, Stagecoach. Bookmark the permalink. I didn’t see that ending coming! What a fun story to read, and true to boot! I wonder if the stage he took is the same one that ran from Clemmons to Asheville, called The Hattie. If it is, your story overlaps mine. The stage built by Claude Minton was based on The Hattie. Very cool if our stories overlap. There must be a tale in the name of the stage “Hattie.” Looking forward to seeing Claude’s memoir in print. Congrats! I’ve been enjoying your “chapters,” and sure hope I see ALL OF THEM wound together in a book about this area. You have a “gift” for writing. I particularly loved this chapter. I’m pleased to have you following along, Sandra. This area nourishes a tremendous reservoir for gathering stories.